If your question is "How to hide private photos that I have already sent via my iPhone", here is the answer: a new photo app ON/OFF Photo solves this problem simply and effortlessly. This app will help you protect your privacy by controlling and hiding your private photos other people's eyes. If you've private photos on your iPhone or iPad, you must own it because it is indeed amazing! - Share them via your desired app: Whatsapp, iMessage, messenger etc. There are some additional features that you will also like. For example, the app will show you notification when your photo is being viewed. In that way, when it is viewed by other person (i.e reshared) you can know that and delete the photo. Along the way, you can chat with your friends about the photos and everything is made available in one beautiful and very simple and intuitive app. 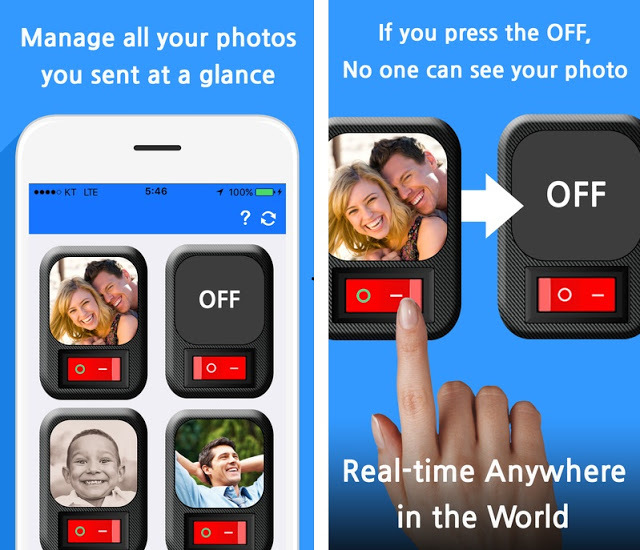 Get it for free on the App Store and never worry about your photos ever again.